CarMax Inc. opened a vehicle reconditioning and four-lane auction center in Murrieta, Calif., on Thursday, making it CarMax’s largest multipurpose location on the West Coast, the used-vehicle mega-retailer said. The 35-acre site can hold about 400 vehicles. The reconditioning center will work on vehicles before sending them to other CarMax locations in Southern California. CarMax Murrieta also will have a used-vehicle store. 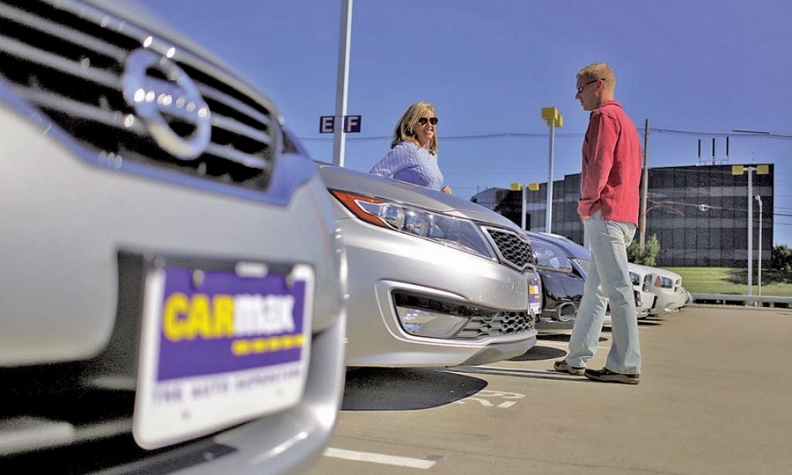 The four-lane auction is CarMax’s first on the West Coast, according to the release. There are nine other CarMax auction centers in California. About five of the locations, including the Murrieta lot, are within an hour and a half of Los Angeles. “The new four-lane auction facility in Murrieta will greatly support our continued growth, as we look forward to serving as many as 500 local dealers attending the auction on a weekly basis,” Raygoza said in the statement. CarMax opened a store in Palmdale, Calif., on Feb. 1. The stores in Palmdale and Murrieta created more than 300 jobs total. CarMax is the largest retailer of used vehicles in the U.S., with more than 170 stores in 39 states and about 23,000 employees.